Can We Do Something About Compliance Training? I've been thinking about compliance training lately. Thinking about how everybody loves it. About how much people look forward to it. About how people are constantly breaking down my door asking to take more of it. It's costing me an arm and a leg in hinges! Speaking of costs, has anybody done the math on how much it costs companies to put all their employees through annual compliance training? Suppose we take a fictional company with 1000 employees who are paid an average of $50,000 per year. For every hour of training those employees go through, the company has to pay out over $24,000 in salary - without getting any productive work in return. I know compliance is important. You can all put those pitchforks back down. I don't want to do away with it. I would, however, love to see us (as an industry) make compliance training more efficient. To that end, I have a few crazy ideas I'd like to share with you. Maybe we can replace annual re-certifications with something shorter? Imagine you're a new hire with Company X. In your first few weeks, you take an anti-harassment course. The L&D team did a wonderful job. The course is beautiful, it's engaging, and it's focused on what you need to know. Fast forward twelve months, and it's time to re-certify. You load up the LMS, quivering with anticipation, eager to see what this year's anti-harassment course will look like. It looks like last year's course. Last year's course looks like the previous year's course. And so on. After 20 years, you'll be able to recreate the course from memory. After 5 years, I very much doubt you're going to learn anything new. What if we did the full fancy course for new hires, then gave people options for re-certification? They could complete the courses again, or they could read the policy and sign (physically or digitally) an form agreeing to abide by it. Wouldn't it be great if we could know who really needed the training and target them specifically? For example, if we knew who was most likely to take a bribe (before they actually did) we could give them anti-bribery training to prevent it. If you want to get really fancy, you could use predictive analytics, but there are simpler ways. Do you recall those stories about researchers leaving thumb drives out and monitored how many people plugged them into their machines (48% at a university and 60-90% at government buildings and private contractors)? Why not work with IT to run a similar test? Anybody who plugs in the thumb drive gets enrolled in the computer security course. Worried about physical office security? Maybe you can hire some mystery shoppers to try shoulder surfing or piggybacking. Based on how people react, you have a pretty good idea of who needs training to recognize and deal with social engineering. As a bonus, this is a more accurate test than a eLearning course (after, who worries about offending the characters in a course?). What if people got a customized version of their compliance courses? People who know their stuff get to breeze through quickly, while those who need a little more coaching get the attention they need. You can do this with an adaptive course. For example, you might have a pretest, then tailor the course based on the results of that pretest. Alternatively, you might have checkpoint activities in the course, then branch out depending on how people handle them. If you'd like to learn more, I encourage you to check out this article. If you're going to be in Toronto in July 2019, you may also wish to come to the Canadian eLearning Conference, where I'll be facilitating a hands-on session to teach people how to make their own adaptive courses in Articulate Storyline. 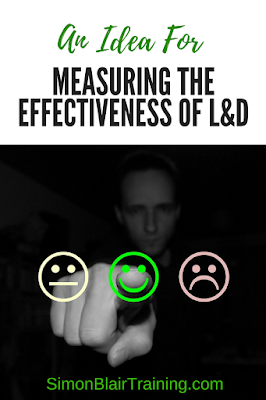 Is it just me, or is nobody talking about measuring the effectiveness of Learning & Development? Don't get me wrong, there are plenty of options for (and discussion about) evaluating attendance and completion (aka: butts in seats), reaction, learning, behaviour, results (Kirkpatrick's Levels 1-4), and even return on investment (or ROI, Phillips' Level 5). That's all well and good, but it's also strictly transactional. All we're evaluating is a single course, intervention, or program. Why aren't we measuring the L&D function as a whole? It's been two weeks since DevLearn 2017, and I'm still collecting my thoughts. 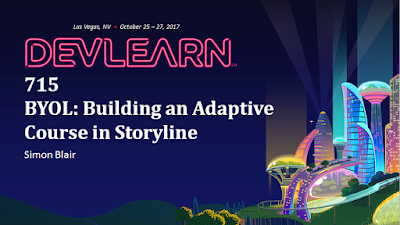 To get things going, here's a recap of the session I facilitated, number 715 on the agenda: "BYOL: Building an Adaptive Course in Storyline". 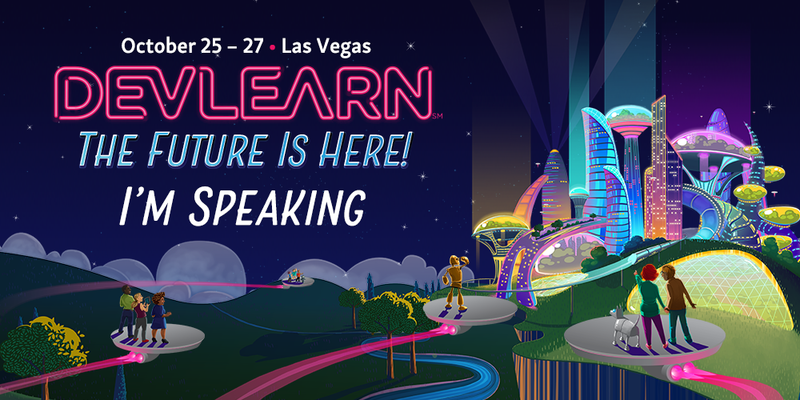 Next week is DevLearn 2017, the eLearning Guild's biggest conference of the year, and I couldn't be more excited. 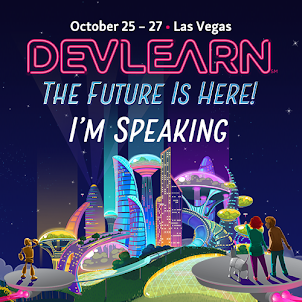 This is my first time attending DevLearn, and only my second time attending a conference. I attended Learning Solutions Conference (LSCon) in March 2016 and had a blast. So many sessions! So much to learn and bring back to my work. Also, I got to meet many people I've only interacted with via Twitter. By all reports, DevLearn should be similar, only more. Also, there's a stronger technology focus, which fits nicely with my role and my interests. Greetings friends and colleagues! Welcome to the inaugural edition of "This Week in Training" (or #TWIT). 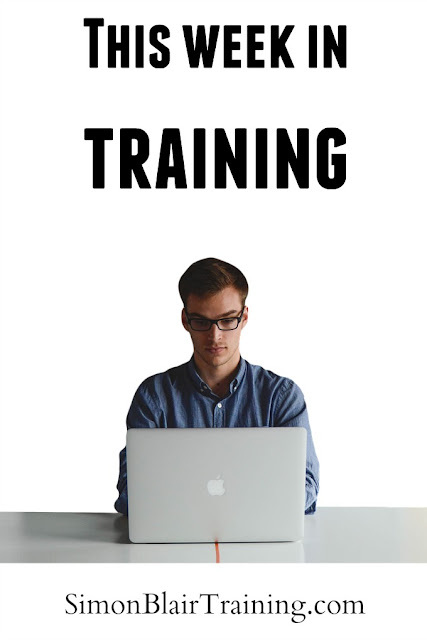 The idea for "This Week in Training" (#TWIT) came about because there are so many great articles and blogs out there related to Training, Learning & Development, e-Learning and so on. So many, in fact, that I'm not finding them all. I need your help! As they say "all of us are smarter than one of us". Whether you call it "crowd-sourcing", "user-generated content", or "content curation", the idea is the same. I'm sure you've written or read some great articles. I'm asking you to pick your favorite and share it with the world. Hi everybody. I'm trying out something new today. I've picked some of my favourite posts and articles that I've read recently. I really think you should read them too. Trust me, you won't regret it.